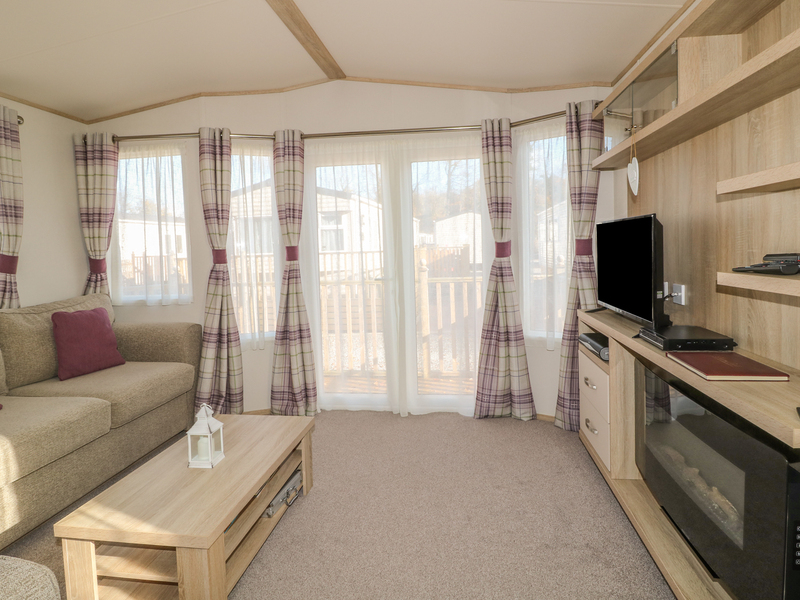 The Hideaway is a caravan based on Brigham Holiday Park near the town of Cockermouth in Cumbria. It has two bedrooms consisting of a king-size with an en-suite cloakroom and a twin room, there is also a family shower room, the property can sleep four people. Also inside there is an open-plan living area with a kitchen, dining area and a sitting area with an electric fire. To the outside there is off road parking for two cars and a surrounding decking with a table and chairs. The Hideaway is a well-presented property in a wonderful Lake District location. All ground floor. 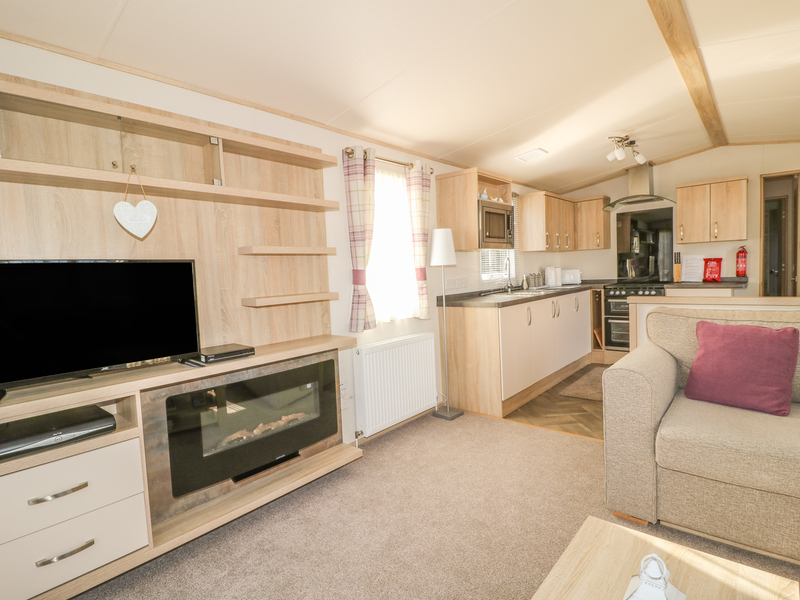 Two bedrooms: 1 x king-size double with en-suite, basin and WC, 1 x twin. Shower room with shower, basin and WC. Open plan living area with kitchen, dining area and sitting area with electric fire. Gas central heating with electric fire. Gas oven and hob, microwave, fridge/freezer, TV with Freeview. Fuel and power inc. in rent. Bed linen and towels inc. in rent. Off road parking for 2 cars. Surrounding decking with furniture. Sorry, no smoking. Shop 10 minute walk, pub 2.5 miles.